There are 3 likely scenarios if you cannot access your account or your programs. It's your first time logging in to your Mindvalley account. You have logged in before but cannot log in anymore. You can log in but cannot find your program. Please scroll down to the scenario which most applies to your situation. First time logging in to your Mindvalley account? Your account is automatically created once you sign up for a Masterclass or purchase a program with Mindvalley. Your username: The email address that you used to sign up for a Masterclass or to purchase a program. Your password: Please find the email "Your Mindvalley Login Details" in your inbox. 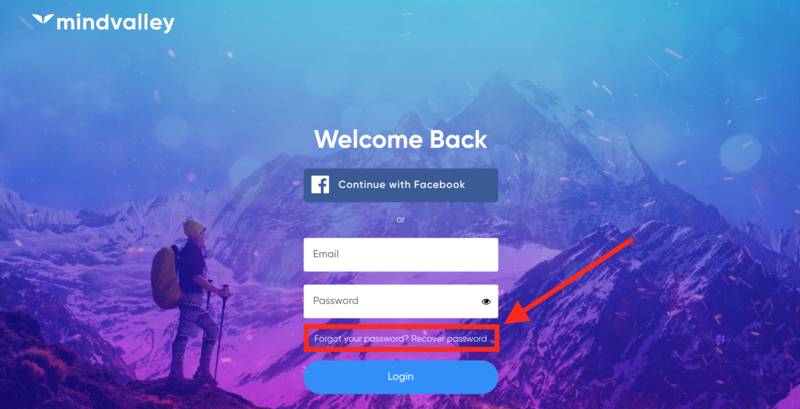 It contains your temporary password to log in on home.mindvalley.com. Didn't receive the email with login details? Make sure you're checking the same email you entered when you signed up for a masterclass or purchased a program. Please also check your spam folder in case the email landed there. Logged in before but can't log in anymore? Once on the login page, enter the correct password & the email address you used to sign up / purchase our programs. Click "Forgot your password?" on the login page and enter your email address. We will send you an email titled "Mindvalley: Change Password Request" with password reset instructions. Can log in but don't see the program you purchased? 1. First of all, please make sure that you are logged in with the correct email address: the one you used to purchase your program or subscription. 2. If you are certain that your email address is correct, please check if the transaction for your program purchase went through on your credit card/PayPal. 3. If you still cannot find your program, contact our Customer Support by clicking the icon at the bottom right of the page and sending us a message. Our agents will get back to you soon to help troubleshoot the issue. Try to log in on a different browser. If that helps, please delete the cookies of the initial browser and you’ll be able to log in again.